This article was peer reviewed by Mark Brown and Mev-Rael. Thanks to all of SitePoint’s peer reviewers for making SitePoint content the best it can be! In this quick tip you’ll learn how to use variables and the differences between the various declarations. 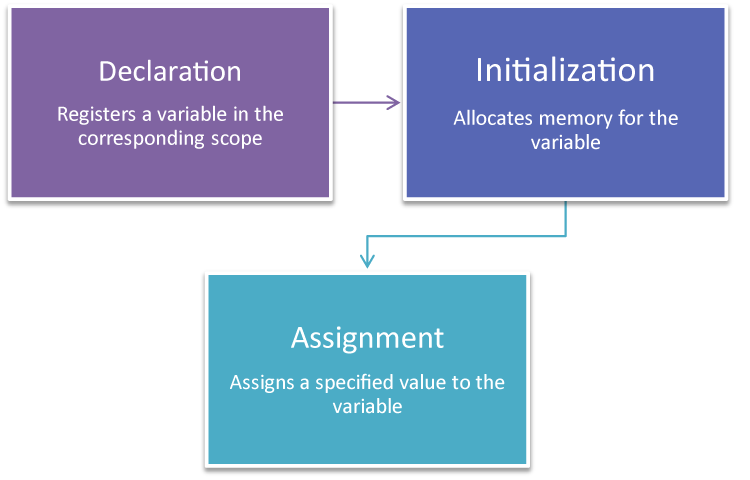 Before we start learning the various declarations, lets look at the lifecycle of a variable. Declaration: The variable is registered using a given name within the corresponding scope (explained below – e.g. inside a function). Assignment: This is when a specific value is assigned to the variable. This declaration is probably the most popular, as there was no alternative until ECMAScript 6. Variables declared with var are available in the scope of the enclosing function. If there is no enclosing function, they are available globally. Technically a constant isn’t a variable. The particularity of a constant is that you need to assign a value when declaring it and there is no way to reassign it. A const is limited to the scope of the enclosing block, like let. Constants should be used whenever a value must not change during the applications running time, as you’ll be notified by an error when trying to overwrite them. You can write all of above named declarations in the global context (i.e. outside of any function), but even within a function, if you forget to write var, let or const before an assignment, the variable will automatically be global. The above will output Hello World to the console, as there is no declaration before the assignment hello = and therefore the variable is globally available. Note: To avoid accidentally declaring global variables you can use strict mode. An indication of this behavior is that both examples will log undefined to the console. If var hello; wouldn’t always be on the top it would throw a ReferenceError. But accessing a let/const variable before its declaration will throw an error. This is due to the fact that they aren’t accessible before their declaration in the code. The period between entering the variable’s scope and reaching their declaration is called the Temporal Dead Zone – i.e. the period in which the variable isn’t accessible. To reduce susceptibility to errors you should use const and let whenever possible. If you really need to use var then be sure to move declarations to the top of the scope, as this avoids unwanted behavior related to hoisting.